India’s total installed solar power generation capacity is 4,878.88 MW, led by Rajasthan and Gujarat, Parliament was informed today. The total installed solar power generation capacity of the country was 4,878.88 MW as on December 11, 2015, Coal and Power Minister Piyush Goyal said in a written reply to the Lok Sabha. Rajasthan has the largest solar power generation capacity of 1,256.7 MW, followed by Gujarat at 1,024.15 MW and Madhya Pradesh at 678.58 MW. In reply to a separate question, the minister informed that the total installed wind power generation capacity in the country till the end of October was 24,677.72 MW. The largest installed wind power capacity is in Tamil Nadu at 7,514.76 MW followed by Maharashtra at 4,638.35 MW and Gujarat at 3,876.50 MW. In another reply to the House, he said that the 1,315.71 MW of wind power generation capacity was added during the current fiscal till November. India had added 2,308.1 MW of wind power generation capacity in the last fiscal. The minister also informed that the renewable sector attracted total foreign direct investment (FDI) of USD 2005.51 million during 2012-13, 2013-14 and 2014-15 (up to December 2014). The largest FDI was from Mauritius at USD 1,067.93 million followed by Malaysia at USD 312.72 and Singapore at USD 225.13 million. India has an ambitious target of adding 175 GW of power generation capacity from renewable sources by 2022, which includes 100 GW of solar and 60 GW of wind energy. At the Paris climate talks, now in their second week, the spotlight is on India’s ambitious—very ambitious—commitments toward cleaner energy. The most significant: New Delhi’s pledge to increase the amount of solar power that can be generated in the country to 100 gigawatts by 2022. That’s more than 20 times India’s current solar deployment. It’s also more than all of Europe’s solar capacity, and more than half the world’s, as of the end of last year. If it’s a solar panel installation you’re looking for, call us for a free survey. Commercial or Residential. The target, they acknowledge, is “perhaps at this point only aspirational.” Meeting it will require some potentially difficult reforms by both federal and state governments. But the target won’t be achieved only by building the massive solar parks that are the Indian government’s focus today, the authors argue. Encouraging rooftop and off-grid solar projects will help create the broad political support crucial to the solar push. For the biggest solar projects, which India hopes will account for 60 gigawatts of capacity by 2022, the cost of the electricity produced has already fallen beneath the cost of power generated from imported coal, and could soon be cheaper than power from domestic coal. Still, solar developers face difficulties acquiring land and getting permissions to build transmission lines. Deeper obstacles, the researchers write, lie with the utility companies that buy and distribute electricity to homes and factories. India’s utilities have racked up $55 billion in losses over the past six years. The federal government recently announced a plan for the country’s state governments to assume the debts of utilities that improve their operating efficiency. As a backup, so to speak, Messrs. Sivaram, Shrimali and Reicher suggest creating a federally administered fund to buy power from solar generators when distribution companies aren’t in a position to do so, thereby reducing risks to developers. 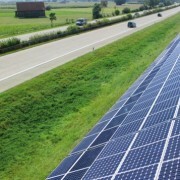 Such a fund was outlined as part of a 2010 national solar program. It isn’t running yet. The federal government could also help finance solar projects, the researchers write, by both subsidizing short-term loans and providing longer-term loans directly to developers. That would be far more cost-effective for the government, according to the authors, than the tax benefits and capital grants currently offered to large solar projects. A currency-hedging facility could also be created to help attract foreign capital. In rooftop solar installations, achieving India’s target of 40 gigawatts by 2022 would require a doubling of capacity each year. Using solar to supplement diesel generators could make a big difference to air pollution and energy costs for factories and office buildings in places where the grid is patchy. 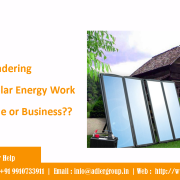 The researchers note, however, that not all Indian states currently have mechanisms for customers to sell self-generated solar power back to the grid. Enabling “net metering” would give a big push to personal solar installations, the researchers write, though they acknowledge that cash-strapped utilities may not be so keen to allow customers to zero out their power bills. However, in a well-designed system, such as those that exist in parts of the U.S., utilities can use compensation for solar to keep commercial and industrial customers from exiting the grid altogether. Currently, factories and offices in India pay vastly higher rates for electricity on the grid than those paid by homes and farms. State governments restrain utilities from raising prices for these customers. Reducing subsidies would lift electricity prices and therefore the prices paid for rooftop solar power fed into the grid, making it more attractive for households, too, to invest in their own installations. The smallest portion of India’s planned solar upgrade is in off-grid projects, which the government hopes will total 3 gigawatts by 2022. Solar panels and batteries for powering appliances in a single home, as well as “microgrids” that serve a small cluster of power users, stand to bring enormous benefits to the 455 million in India who have limited or no access to the electricity grid, the authors write. But few of these people can afford even the simplest solar technology, and finance options are limited, Messrs. Sivaram, Shrimali and Reicher write. For solar vendors, collecting payments from village customers is difficult, and regulatory uncertainties can make developers reluctant to invest in rural places. If the grid is expanded unexpectedly into an area, then off-grid systems are put out of business. The Indian government also subsidizes fuel for gas lamps, making solar even more uncompetitive. Mr. Sivaram, a fellow at the Council on Foreign Relations, said reaching 100 gigawatts requires political commitment and smart interventions, not necessarily heaps of new government spending. “Originally, last year, I thought it was a fake target—an overambitious target that was meant to catalyze progress,” Mr. Sivaram said from Paris, where the researchers are presenting their paper on Tuesday. As ingenious and environmentally friendly as solar energy solutions are, they’re not always as efficient as we’d like them to be – and of course, they’re only generating new electricity when the Sun is out. But an international team of scientists has come up with a new type of energy system they’re calling ‘hydricity’, which combines the power of sunlight with hydrogen fuel. There are two ways we get energy from the Sun: photovoltaic cells (the panels you see on rooftops) and solar thermal power plants, which concentrate the Sun’s rays, then use the generated heat to warm up water and drive turbines using the steam that’s produced. The latter method captures more of the Sun’s solar spectrum, but is less efficient than a standard solar panel, and can only work in direct sunlight – which is why you only find them in parts of the world that get plenty of sunshine. This is where hydricity comes in. By combining solar thermal power plants with hydrogen fuel production facilities, the researchers say, efficiencies in both types of power can be improved. An integrated system would produce both steam for generating electricity immediately, and hydrogen for storing it for later use – a crucial consideration as the countries of the world become more dependent on renewable energy. The team, from Purdue University and Switzerland’s Federal Polytechnic School of Lausanne, says it can produce hydrogen at an efficiency of 50 percent and electricity at an unprecedented 46 percent efficiency, thanks to the way the high-pressure turbines can be used to run in succession of the lower-pressure ones. Over the course of an average 24-hour cycle, it’s claimed that hydricity could reach a Sun-to-electricity efficiency of 35 percent, which is as good as the best multijunction photovoltaic cells combined with battery power. The hydrogen fuel produced alongside the electricity is important: not only could it find uses in transportation, chemical production and other industries, it doesn’t discharge when stored or degrade with repeated use. When the Sun goes down, the stored hydrogen power could kick in, and that means turbines don’t need to be stopped or restarted. So far, the scientists have only produced simulated models of the process – the next step is real-world experiments. The group’s work has been published in Proceedings of the National Academy of Sciences. Le Bourget (France): India has launched an ambitious alliance of 121 developed and developing sun- drenched countries and announced an assistance of USD 30 million to dramatically boost the use of clean solar energy and reduce global carbon emissions. The International Solar Alliance was launched by Prime Minister Narendra Modi along with French President Francois Hollande yesterday on the sidelines of the 195-nation United Nations climate summit here to tackle climate change. The alliance from both developed and developing countries aims to mobilise USD 1 trillion by 2030 to be invested in the generation of clean solar energy. Modi also announced that India will host the initiative in the premises of the National Institute of Solar Energy in Gurgaon, Haryana. “The vast majority of humanity is blessed with generous sunlight round the year. Yet many are also without any source of power. 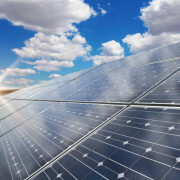 We want to bring solar energy into our lives and homes by making it cheaper, more reliable and easier to connect to grid,” Modi told members of the alliance. He said that India will provide land and contribute about USD 30 million to build the Secretariat infrastructure of the initiative and support its operation for the next five years until 2021. “This is an alliance that brings together developed and developing countries, governments and industries, laboratories and institutions in a common enterprise,” Modi said. “This day is the sunrise of new hope ?- not just for clean energy, but for villages and homes still in darkness; and for our mornings and evenings filled with a clear view of the glory of the sun,” he said. Modi said that as the developing world lifts billions of people into prosperity, the hope for a sustainable planet rests on a bold global initiative and it shows India’s determination to harness the Sun’s unlimited energy. He stated that advanced countries need to leave enough carbon space for developing countries to grow. “That is natural climate justice,” Modi asserted. Hollande lauded Prime Minister Modi’s initiative as a paradigm shift. To highlight the importance of solar energy, Modi said that in Indian tradition, Sun is the source of all forms of energy. “Today, when the energy sources and excesses of our industrial age have put our planet in peril, the world must turn to Sun to power our future,” he added. The idea of solar alliance was mooted by Modi during the the India-Africa Forum Summit last month. Solar water heating systems almost always require a backup system for cloudy days and times of increased demand. Conventional storage water heaters usually provide backup and may already be part of the solar system package. A backup system may also be part of the solar collector, such as rooftop tanks with thermosyphon systems. Since an integral-collector storage system already stores hot water in addition to collecting solar heat, it may be packaged with a demand (tankless or instantaneous) water heater for backup. article-why-solarThe heart of a Solar PV system is the grid-interactive inverter. The inverter takes electrical power generated by solar cells, converts it from direct current(DC) to alternating current (AC), and supplies it for household electrical consumption. Excess power generated during the daytime hours is fed back into the utility power grid. When the amount of power generated by the solar panels is insufficient for the home’s needs,the system draws needed energy from the utility power network (or from an optional battery bank. The price of solar power in India fell at a faster-than-expected rate this year. Now, some experts suggest that by 2020, renewable energy in Asia’s third-largest economy may become up to 10% cheaper than coal power. Earlier this month, the Ministry of New and Renewable Energy awarded a tender for a 500-megawatt solar park in the southern state of Andhra Pradesh to US-based SunEdison at Rs4.63 a unit—the lowest rate so far in the country. “Today, in India, solar prices are within 15% of the coal power prices on a levelised basis. While this may not fully capture costs such as grid integration costs for solar, our analysis suggest that even after considering the same, solar prices would be competitive with coal,” market research firm KPMG said in a recent report titled “The Rising Sun” (pdf). According to KPMG, the growing scale and competitiveness of solar power could impact local coal prices; the firm predicts that this change will become visible in 2017, and will accelerate after the year 2020. India’s solar installation capacity would reach approximately 2,150 MW in 2015 and touch 3,645 MW in 2016, says a quarterly update on the Indian solar market, compiled by global clean energy communications and research firm Mercom Capital Group. Year-to-date, solar installations in India stand at 1,652 MW, with cumulative solar installations in the country totaling 4,816 MW. After several delays, NTPC has begun calling for tenders under the 3,000 MW Phase II Batch 2 Jawaharlal Nehru National Solar Mission. 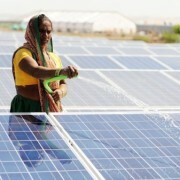 The first auction closed with SunEdison placing winning bid of Rs 4.63/kWh for a 500 MW solar project in Andhra Pradesh. This bid is the lowest in India to date. Government’s push: 5,500 MW worth of projects due to be auctioned off over the next several months between the NTPC and the Solar Energy Corporation of India (SECI). 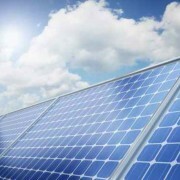 PSUs, Central depts to get Rs1 cr per MW to set up solar unitsWelspun Energy commissions largest solar project in AsiaIndia should take initiatives to form league like OPEC: Narendra ModiA good starting point,but…Solar power gets its day in the sun with national mission supportHas Modi bitten off more than he can chew?PSUs, Central depts to get Rs1 cr per MW to set up solar unitsWelspun Energy commissions largest solar project in AsiaIndia should take initiatives to form league like OPEC: Narendra ModiA good starting point,but…Solar power gets its day in the sun with national mission supportHas Modi bitten off more than he can chew?PSUs, Central depts to get Rs1 cr per MW to set up solar unitsWelspun Energy commissions largest solar project in AsiaIndia should take initiatives to form league like OPEC: Narendra ModiA good starting point,but…Solar power gets its day in the sun with national mission supportHas Modi bitten off more than he can chew? Interest rates for solar projects are beginning to fall after the RBI rate cuts with rates in the 11-12% range compared to 13-14% a year ago. SOLAR PARK FEES: Developers are concerned that solar park fees are much more expensive than originally envisioned and are confident that they can execute at much lower costs if the government sticks to facilitating land. PAYMENT DELAYS: Some states are facing up to three month payment delays, according to developers and banks. The best states for timely payments currently are Gujarat, Andhra Pradesh, Punjab and Madhya Pradesh. There is a “Green Energy Revolution” underway in India that can increase prosperity for millions of poor families by harnessing the abundant and clean energy of the sun. With the right policies in place India can easily become a world leader in solar energy. This solar endeavor could also help address acute power shortages, and make a real difference in slowing the pace of climate change. Since being elected in May 2014, Prime Minister Narendra Modi has outlined his vision for increasing India’s renewable energy capacity five-fold from 30 GW to 175 GW, including a boost in solar power generation from 20 GW to 100 GW. The plan is to achieve these targets by 2022. But to do so, India needs a National Energy Policy, Regulatory Programs and innovative financing mechanisms that encourage the development of distributed energy, particularly, applications that combine solar generation with energy storage. 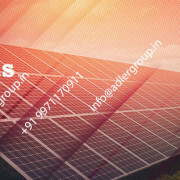 ADLER Solar is a leading solar company dealing in solar products and providing complete solar energy solutions.You’ve came to the right place – give us a call! India has already taken positive steps by announcing very aggressive goals to meet 40 percent of its energy needs through renewables by 2030. I firmly believe that, with favorable policies and strategic economic investments, India could meet all of its energy needs through renewables by 2050. India is both densely populated and has high solar insolation, providing ideal conditions for the exponential growth of solar power as a future energy source. With GDP growing at about 8 percent, solar PV is the only renewable energy resource that can bridge the ‘gap’ between supply and demand. 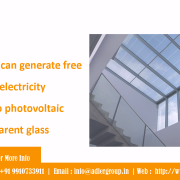 Solar energy can transform India and help to bring about decentralized distribution of energy, thereby empowering people at the grassroots level and eliminating the need for costly expansion of transmission and distribution systems. For India, a combination of solar power and energy storage is the answer to true energy independence. For its part, the Indian government has taken several measurable steps toward improving infrastructure and power reliability but, more needs to be done — and fast. 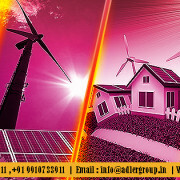 Along with expediting the adoption of solar and other renewable energy resources, to secure its energy future India urgently needs to implement innovative policies and financing mechanisms (such as capital and interest subsidies, viability gap funding, concessional finance, etc.) 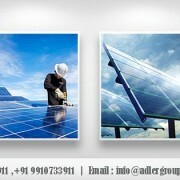 to promote increased use of abundant, sustainable, solar energy. In addition, micro-grids have the potential to change the way communities generate and use energy, can reduce costs, increase reliability and improve environmental performance. Micro-grids can be used to take substantial electrical load off the existing power grid and so reduce the need for building new or expanding existing transmission and distribution systems. India’s clean energy targets are realistic, desirable and fully achievable. All that is needed now to make this concept a reality is political commitment and appropriate investments and funding for building many more solar power systems, solar farms, hybrid solar-natural gas plants, solar thermal storage and advanced battery-based grid energy storage systems. Excess energy generated from solar could be stored in various forms and then used during times of peak demand. Investment in those technologies would provide an economic stimulus of at least $1 trillion, and perhaps much more if all indirect effects are included. Given its abundant sunshine, India could even use solar power to produce “solar fuels” (e.g., using electrolysis to extract hydrogen from water), which could be exported to meet the voracious demand for clean energy from the big north Asian economies. Solar energy provides a golden opportunity for India to move toward a 100 percent clean energy future while reducing poverty, ensuring energy security and combating climate change. Solar energy has the potential to propel India forward as a “Solar Super Power.” However, for India to meet its future energy needs, it can no longer afford to delay deployment of solar energy. Solar energy systems on top of shopping centres, car park shade covers, hospitals, airports and other commercial buildings are the beginning of the end for large scale coal power stations, one alternative energy developer will explain on Friday. company has installed as a “shade cover” over carparking at Buranda is now doubling as a solar energy generator. He says the system cut energy costs for the owner by between 30 to 40 per cent. WE believe companies and big energy users – like hospitals and huge retailers – are beginning to wake up the potential solar energy from their rooftops, completely separate to solar energy from homes. It generates 147MW and save 122 tonnes of CO2 emissions from the environment each year. While big business recognises future savings, the big energy producers recognise future problems, he said. “So can you imagine three or four 100 kilowatt systems sprawled over every manufacturer, abattoir and they are exporting that electricity. It generates 100 kilowatts of energy, enough to power the shops and business in the Road building, plus run the car park operations. One hundred kilowatts – depending on what is in the house or the business and the size of the house of the business – could power between five and 30 homes or premises.